When you have someone who looks exactly like Supergirl with her powers, you can do a lot of damage! 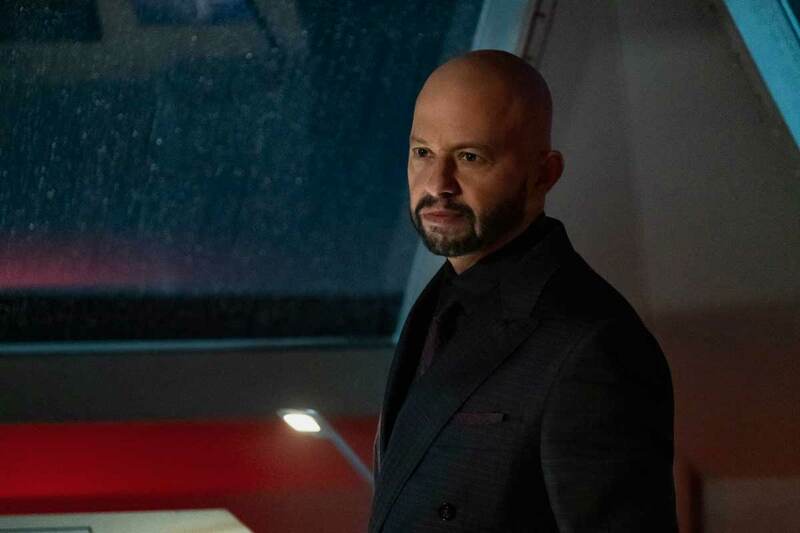 That looks exactly like what Lex has planned for Supergirl next week! The trailer is actually quite shocking! Red Daughter dressed as Supergirl, flies into the White House and heat visions the entire cabinet! The President, from a safety bunker, announces that Supergirl is now going to be public enemy number one! 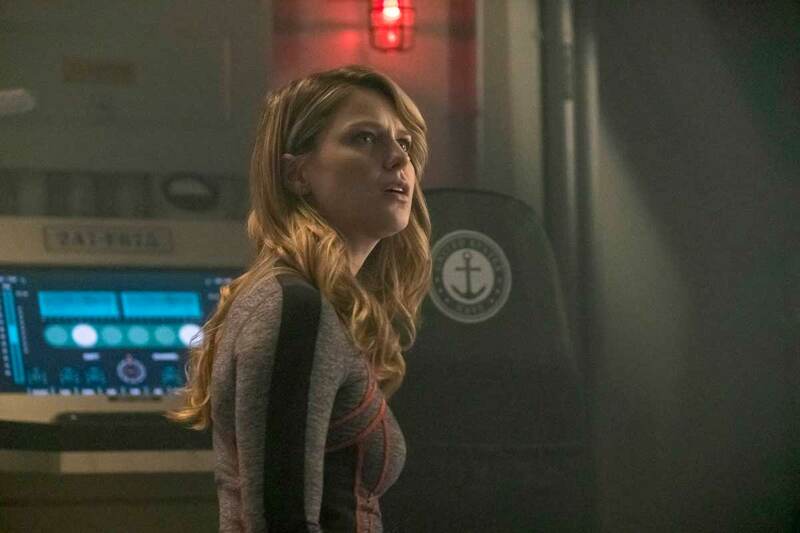 Check out the trailer for next week's all new episode of Supergirl below! Let us know what you think of the trailer in the comments below and in the forum! Keep us advertisement free and visit the support page! 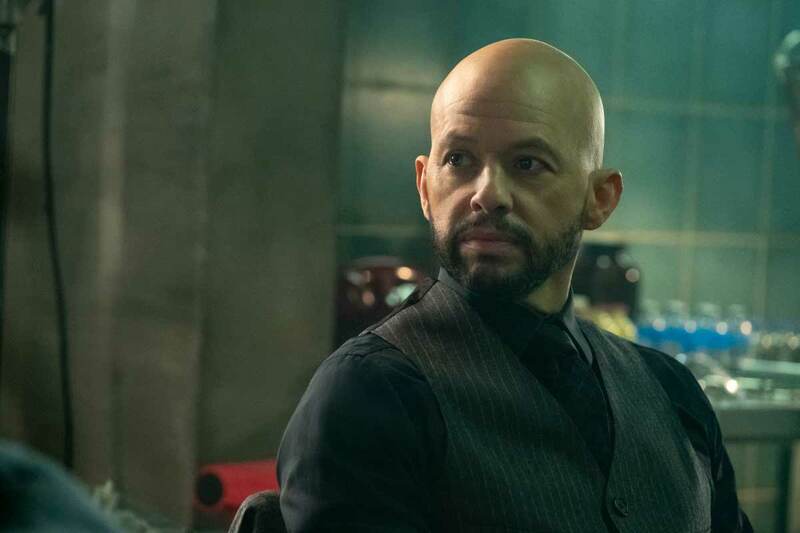 Lex Has Powers: The episode picks up right where the last one left off. 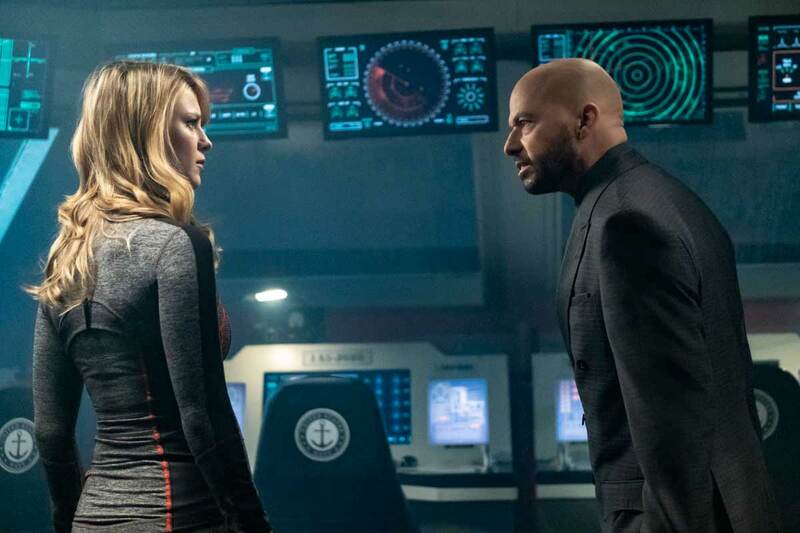 Supergirl confronts Lex in his helicopter. There he activates something on his watch and he jumps out. Just like Ironman, the Lex suit appears and envelops him. Supergirl is able to knock him out of the sky and he lands on the roof of the Daily Planet. Then Lex, who has powers now, lifts the Daily Planet globe to smash Supergirl. 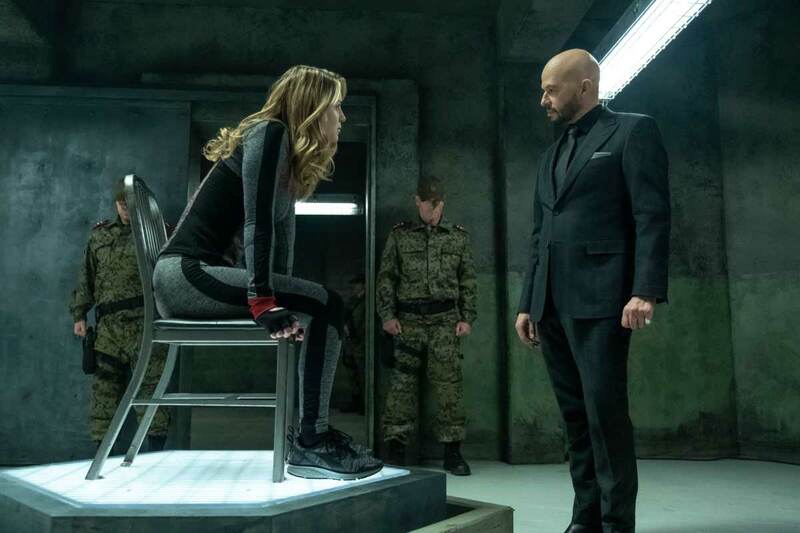 Flashback Three Years Ago: With Lex on trial, we get to see James and Lena testify against him. Lex is sentenced to thirty-two life sentences but he says he should add another one as he poisoned the judge and the jury who sentenced him. Prison Life: Lex is afforded a lot of opportunity while in prison. He has a special cell and he has the warden and prisoners under his thumb. He is even able to blackmail the warden into letting him leave the prison and go visit Kasnia where Red Daughter is discovered. 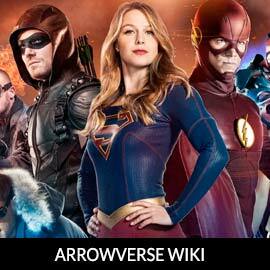 Red Daughter: Supergirl's clone can only speak of Alex when she is first found. The Kasnian army takes her in and starts to train her in Russian and harness her powers. While in her cell, she hears a young boy in trouble. She bursts out and heads to help him immediately. While there, Lex arrives to meet her. He identifies himself as "Alex". Great Gatsby: Lex continues to cement his hold on Red Daughter. He sends her books and looks to teach her like he was taught. 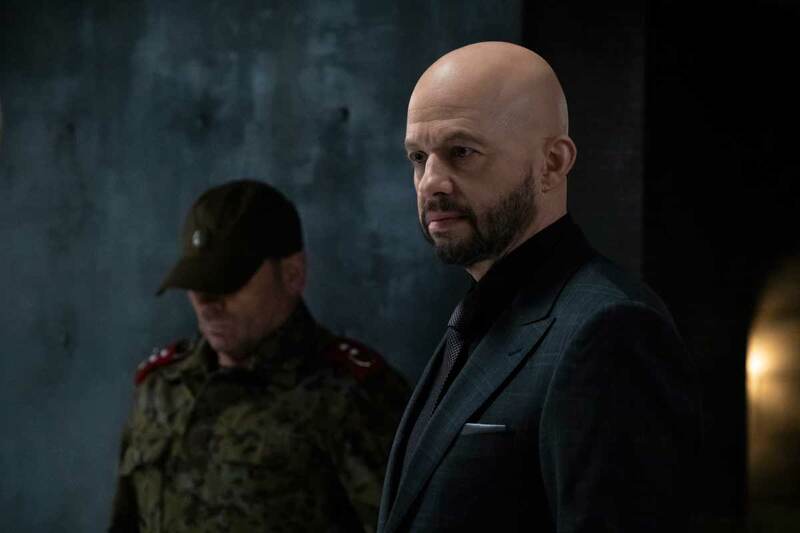 With his hologram at the prison, Lex can spend time traveling the world. He knows that Kasnia wants to invade the United States. He places himself in a position where he can foil this attack and gain pardon from the United States. Lex even learns of Ben Lockwood and uses Otis to start pulling their strings. It would seem that Lex has been at the center of EVERYTHING. Red Daughter in National City: Lex takes "Linda Lee" to visit America and National City. They tour Kara Danvers' apartment where Linda is even able to fool Alex. Kara was actually with Clark visiting Smallville (during the crossover) while Lex took her to visit Kara's place. While there, Linda wanted to learn more about Kara. She read her diary and even went to visit Lena. Eve finally catches her and tells Lex that Linda is starting to question if America is really that bad. To set her back on course, Lex manipulates a US attack ship to fire on Linda's young friend, killing him! Battleship Down: Red Daughter lets her emotions get the better of her and she heads off to take out the American battleship. Lex arrives after her in his super suit where he promises to clean up her mess. Red Daughter believes that she is being used because Lex wants to get back at Lena. Lex says he's done and leaves. Red Daughter, with nowhere to go, returns to Kasnia where she is actually sick. 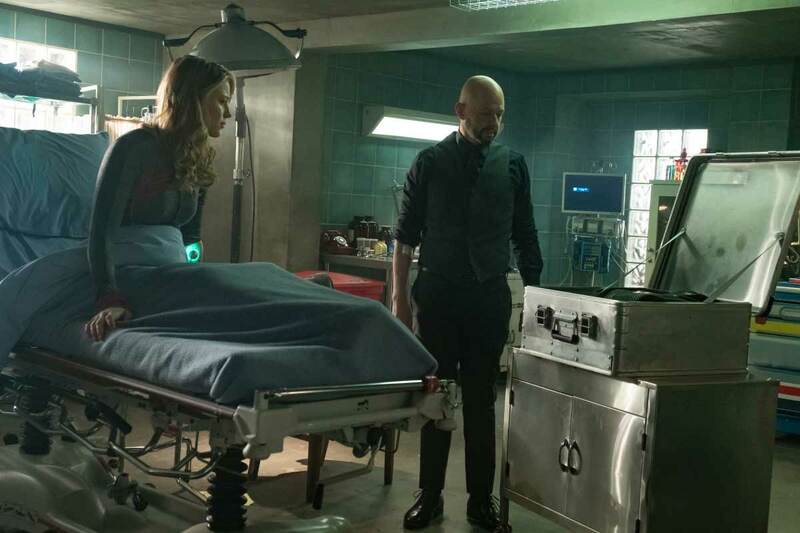 Lex realizes he needs the Harunel to heal her. He actually gives himself cancer to get Lena to work with him. 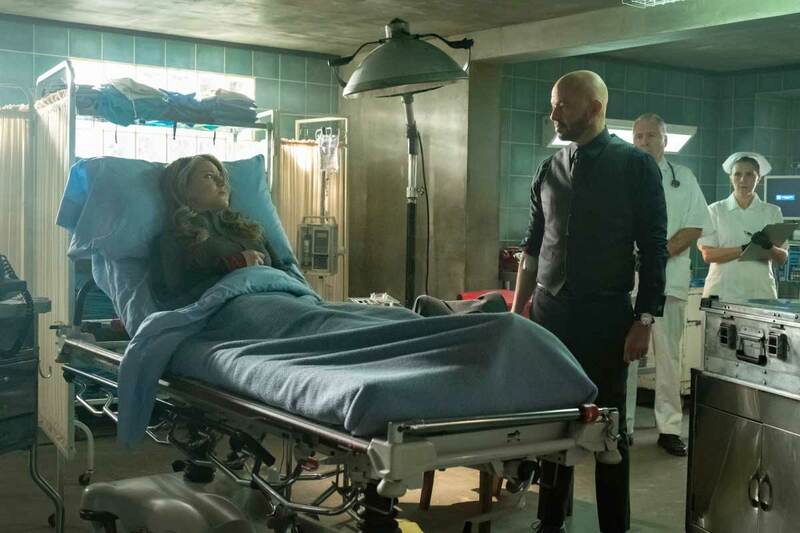 Lex Saves: Lex is able to escape from Supergirl and he returns to Kasnia to heal Red Daughter. After healing her, she agrees to follow his commands and help take out Supergirl! Lex then gives her her own Super Suit and Lex, now with powers, has his own Kryptonian as well! Let us know what you thought of the episode in the comments below and in the forum! Keep us advertisement free and visit the support page! Lex Luthor has been pulling the strings on many different events in National City and no one, not even Lena, saw it coming! Lex has always wanted to bring down the Man of Steel but now he has set his eyes on Supergirl. Just like he said last episode, "you can't break a Kryptonian, but perhaps you can bend one". Now that Lex is healthy, he is going to check on his investment. That of course seems to be Red Daughter herself! 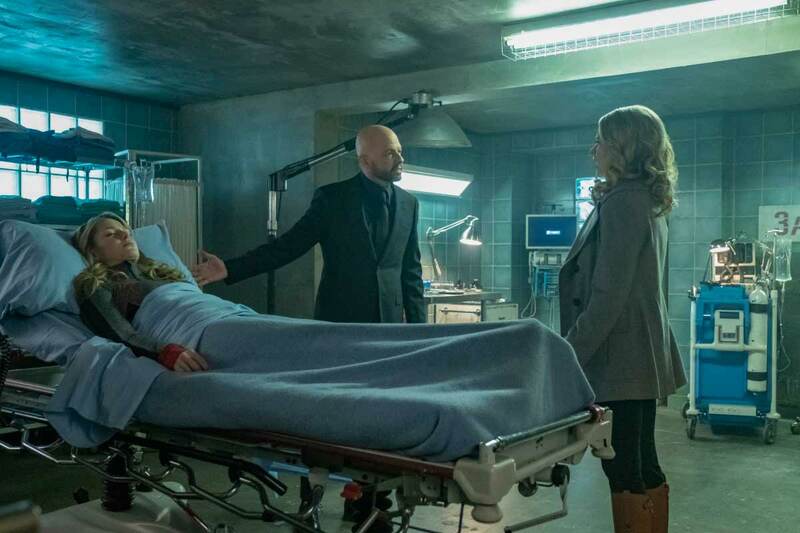 Did Lex cause the accident with the Harunel that created Red Daughter? Check out the images below and let us know your thoughts! Share your thoughts in the comments below and in the forum! Keep us advertisement free and visit the support page! Let us know what you think of the episode in the comments below and in the forum! Keep us advertisement free and visit the support page! 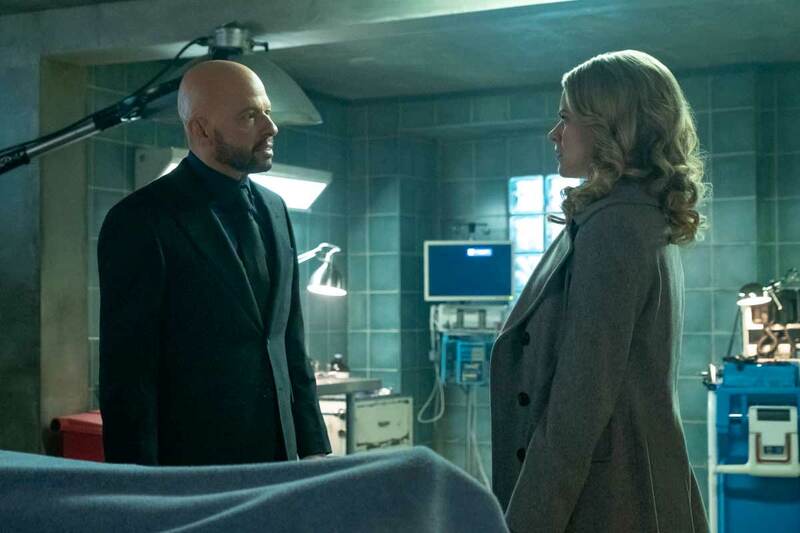 Lex Luthor is Dying: After a very interesting flashback four years ago (where Lex turned the sun red to kill Superman and was caught), we catch up to Lex visiting Lena. He is dying and needs Black Kryptonite to be cured from his disease. 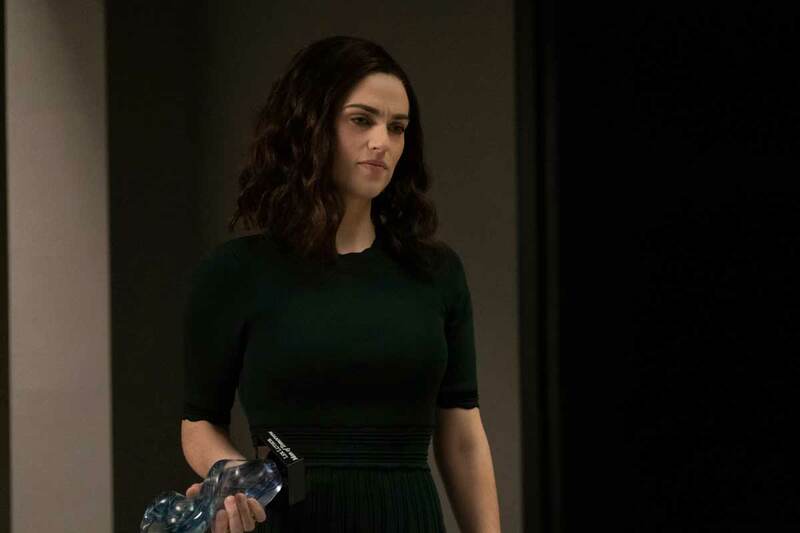 Lena seems to be much more willing to help Lex despite his insanity. He's held up in the mansion under lock and key and with two guards at all times. James at the Hospital: Whoever shot James knew he had the signal watch and didn't want him to die. The shooting activates the watch before leaving. Supergirl is able to get to him in time and take him to the hospital. Lena, Alex, J'onn, Brainy, Kara and Nia are all called in. J'onn assumes Manchester shot James and scans for him. Supergirl and J'onn head off to confront him even though he now has the staff from season 3 that Supergirl used on Mars. Lena and Lex Have Been Working Together: Lena returns from the hospital after talking with Alex. They realize how bad the situation is and that it might be only Lena's cure that could save James and Lex. Lex has more knowledge about Kryptonite than anyone. Manchester Seeks Martian Vengence: J'onn has opened his mind to Manchester by accident when hunting for him. As a result, Manchester is learning new tricks to help him. Manchester knows that on Mars, the god there would sometimes use violence to enforce a moral law. With the Staff from Mars, Manchester's next move might come from the sacred texts of Mars that J'onn must now search through. Surgery: Kelly, James' sister, decides not to bet on Lena but to let the doctors begin the surgery that is needed to save his life despite it being likely he will be paralyzed. Lex continues to be a loving and kind brother working with Lena. After sharing a lovely story about Lena's mother, he reminds Lena that she will continue to land on the side of the light. He then encourages her to go be by "Jimmy's" side. Attack on The Power Plant: Just about everyone has returned to the hospital when the power starts to fluctuate. Without power, James' surgery is almost 100% going to fail. In order to get the power back, J'onn and Supergirl head to the power plant where Manchester is waiting to call out J'onn yet again! After Manchester enrages J'onn by making him relive the death of his family on Mars, J'onn takes the staff back from him and stabs him in the chest. Of course, we don't think that is the end of Manchester but we aren't clear what happened to him. James is Saved: Lena's cure is administered to James in a last minute effort to save his life. Kelly trusts Alex and gives the go-ahead. Lena, after throwing out the entire surgical team, steps in and gives the cure to James. He shortly later wakes up gasping for breath! Lex Luthor reveals that he ended up pulling all of the strings! The power outage at the hospital, Ms. Tessmacher being under his employ, Otis being alive! All of it was so Lex could be cured. 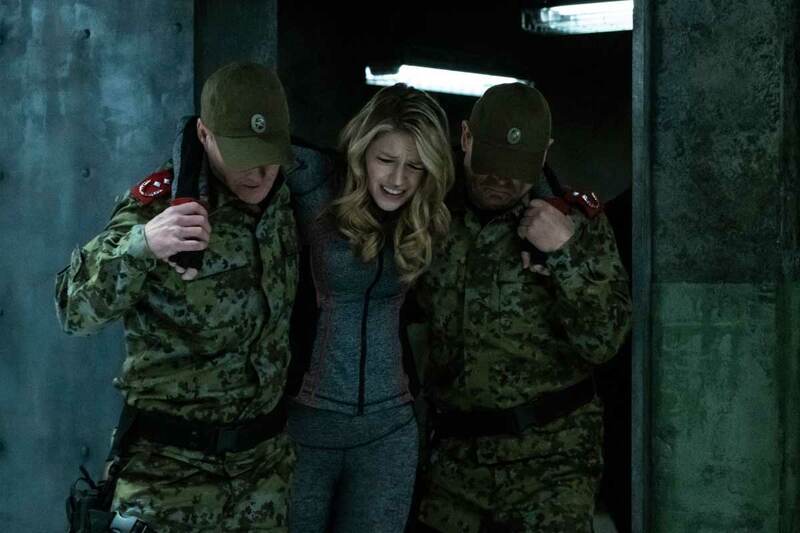 He even orchestrated James being shot to motivate Lena to test on a human. 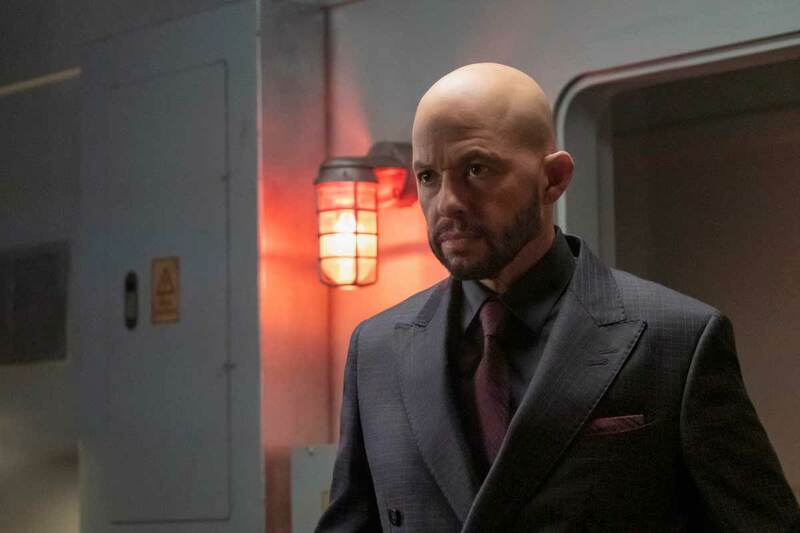 The episode ends with Lex and Otis in a helicopter and Supergirl arriving in air to meet them. 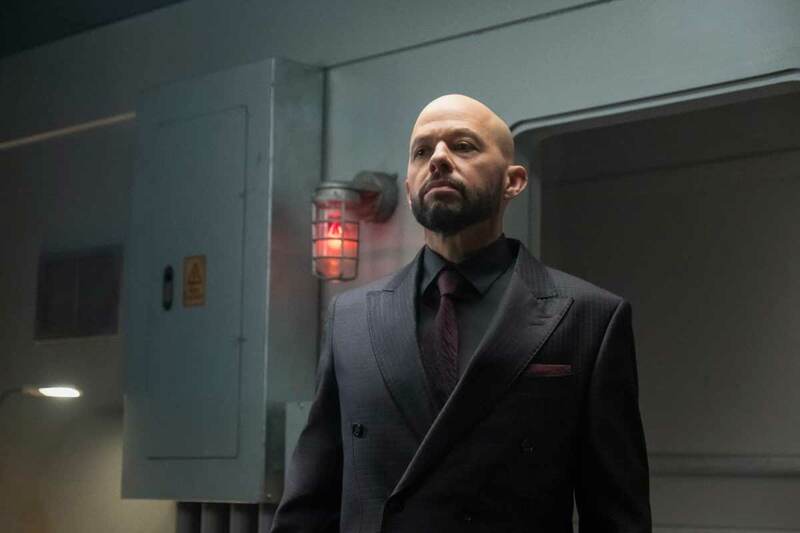 Let us know what you thought of the episode and Lex Luthor in the comments below and in the forum! Keep us advertisement free and visit the support page!